Shelves used to be simply practical but nowadays, they are also a way to showcase your personality and style. 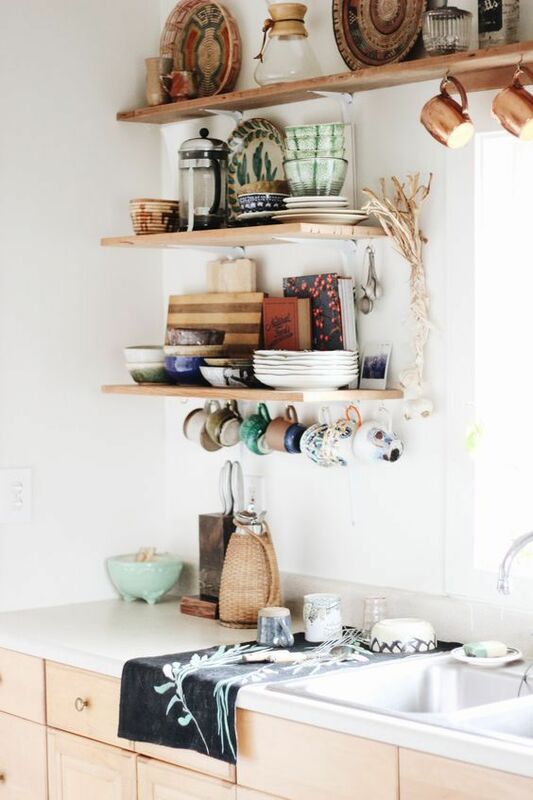 Shelves tell a story about your home and yourself. Have fun with it, there are no real rule but here are some easy tips to get you started. There is the stylish, controlled clutter and the messy clutter. Don’t have the latter. Empty your shelves, dust them and the items that have been sitting for a while. Start with an empty canvas. Anything you don’t need or doesn’t look great can go, drawers are made to hide the mess. A general rule you can follow is to style in Z. Meaning having for example books on the top left, then bellow on the right and again on the left. It create a pattern and a balance in your composition. That’s a good option when you don’t know where to start. Not everything has to match but avoiding clashing colours is always better, depending on the look you are going for of course. Open shelves are made to show items you enjoy looking at. Display your favourite dishes or tea set, books, art etc. It’s not an art gallery but some here and there are a welcomed. You can go either directions. If you display the same kind of items like books or glasses, they can be all the same heights for a sophisticated look, almost shop like. Or on the contrary, mix heights. On each shelf, make sure that not every bits and bobs are tall and low. To keep things interesting, mix wood with glass and metal. Pottery and plants etc. Bring many kinds of materials to your shelves and have fun mixing them up. Plants are always great anywhere anytime in the house. Have fun creating collections of cactus and other types. They will bring life to your walls. In order to keep everything in place and looking neat, use baskets, trays and jars. Baskets are great to hide necessary clutter. Shelves are made to be practical, not only aesthetic. So if you need things that aren’t cute on them, put them in baskets that fit the style. Jars are also great to contain some of that clutter such as keys, coins etc. You can use them as decor and display books, art etc on them. Jars are amazing to replace ugly packaging. In your kitchen, pour your dry goods into them. In your bathroom utilise them for cotton and q-tips etc. Books you love to read, books that just look nice. Display them on your shelves to create a look. Shelves in your home are not like shelves in a store or at a museum. Sure, make them stylish and clutter free, but they are part of your interior which is made for people to live in. Everything should have a place but not every item can and should be perfectly curated. Leave some room for imperfection, freedom and ease. Your shelves represent your personality and nobody’s perfect. Lovely post! 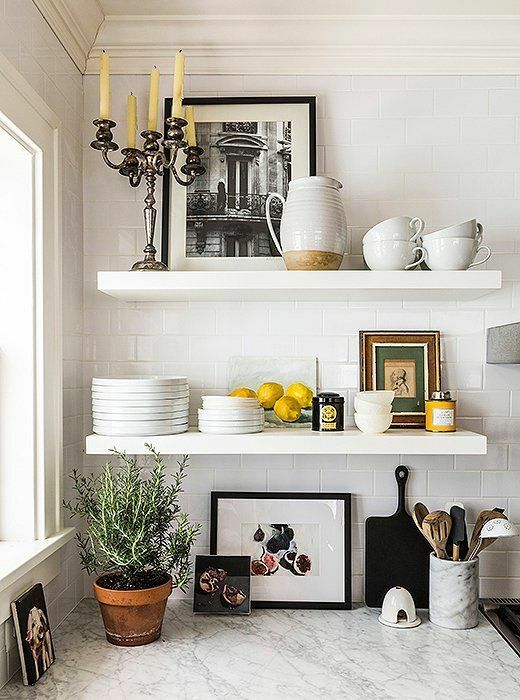 I’m not much into French country style but I think most of these shelf styling tips apply for other shelfs as well. In my home I’m trying to simplify things at the moment and make less items to look amazing. Also, understanding how to colors work together is definitely important. Adding plants is also great way to make the home more cozy.